Today's project is an easy way to get toddlers interested in music! See what Lyssa created today! As part of a calling in church, I am in charge of organizing and helping teach the kids songs. This includes the nursery, where kids range from 18 months to 3 years old. So I was asked to make up something interactive for the kids to use in Nursery. So here are some nursery song cards. On the back of each of these (I made 15), there will be a song written. Kids will get to pick a card and then they sing which ever song they chose. 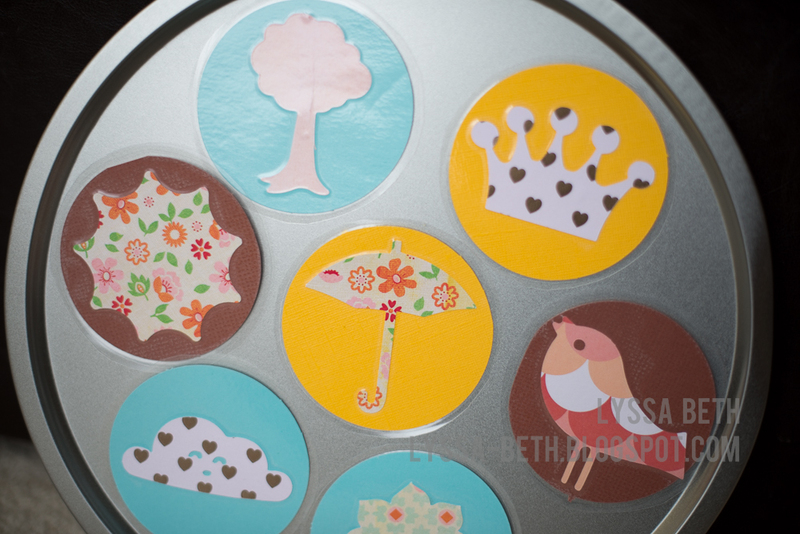 These were really fun to make, especially with the fun patterned paper I had from Teresa Collins & Basic Grey. To make them last, I also had them laminated. They are ready to go! What do you think of Lyssa's project? Let us know your thoughts in the comments below!